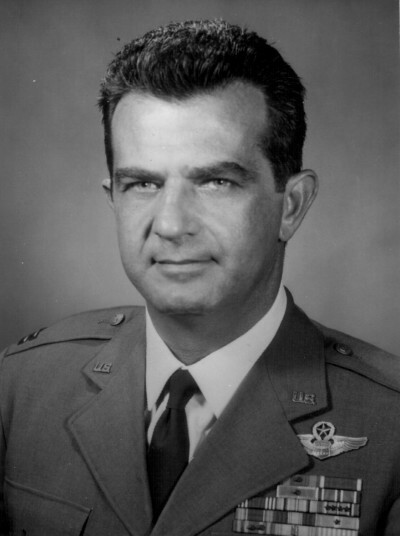 Major Richard L. Felman, U.S.A.F. Major Richard L. Felman U.S.A.F. He never stopped. It became his mission in life. For 55 years, over half a century, Major Richard L. Felman of the United States Air Force worked ceaselessly to do one thing: to repay a debt of gratitude and to say "Thank You" in a most meaningful way. As we in America just commemorated Veteran’s Day and are getting ready to celebrate our Thanksgiving, it is our turn to remember and say “Thank You” to a man that we who knew him will never forget. Writing these things is never easy, especially when you are trying to properly honor the life and work of someone you knew personally and liked very much and whose passing leaves a void that cannot be filled. But done it must be, and it is my hope that those reading this who never had the pleasure of meeting this fine man will come to know him and appreciate the tireless effort that reflects some of the best virtues of human character: Loyalty and Honor. Richard L. Felman was born in the Bronx, in New York City, on May 29th, 1921. He was the son of David, an American, and Dora, a Jewish immigrant from Poland. He had one brother, Irwin, born six years earlier. At 21 Felman enlisted in the U. S. Army Air Corps on July 24, 1942 and became a master navigator. He would go on to fly combat tours in WWII and in Korea and would receive 27 awards and decorations over the course of his military career. In early 1944 he was assigned to the 415th Bombardment Squadron, 98th Bombardment Group, 15th Air Force stationed in Lecce, Italy as a Second Lieutenant. He would be flying B-24s, the "Liberator" bomber. His plane, "Never a Dull Moment," would live up to its name. Returning from a bombing mission in July of 1944 over the Ploesti Oil Fields in Romania, Hitler's main and most essential supply of oil at the time, Felman's B-24 was hit by German ME-109s. Ten of the eleven man crew was forced to bail out from 18,000 feet over the Yugoslav hills. In the attack and subsequent fall, Felman was wounded and would receive a Purple Heart for those wounds. Of all the places in Yugoslavia to land in July of 1944, he was fortunate enough to land smack in the heart of Serbian territory. Unfortunately, it was also Nazi occupied territory and the enemy had seen him coming out of the sky. The Germans had counted all ten of their chutes coming down and knew exactly where they were, but they could not get to them in the hills. That was the first stroke of good fortune. The second, and what would become the most significant, was that Felman was immediately surrounded by the Serbian Chetniks of Draza Mihailovich and the Serbian peasants loyal to them in the area. These were friendly hands Major Felman and his compatriots had fallen into. An immediate friendship was forged between them and it was a friendship that would last for the rest of Richard Felman's lifetime. In their briefings before the bombing mission, Felman and his crew had been told that if they ever had to bail out over Yugoslavia to avoid the men in the beards and fur hats - the Chetniks - for they would 'cut off their ears'. 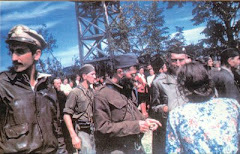 The crew was instructed to look for the men with the red stars on their hats - Tito's Partisans. This contradicted everything Felman had heard about Mihailovich and his Chetniks from the time that Time Magazine had named Draza Mihailovich "Man of the Year" for being the leader of the first successful resistance to the Nazis in occupied Europe. Nevertheless, the first thing Richard Felman did when the strangers came running towards him was to reach for his ears. Not only did his ears stay intact, he was nursed back to health, fed, sheltered, clothed, and protected. He was also initiated into the benefits of Serbian shlivovitza, an exceptionally strong homemade plum brandy. A story that Major Felman would tell over and over again, everywhere he went from that time on, including the halls of Washington D.C., was about something her personally witnessed shortly after falling into the hands of the Chetniks. The Germans gave General Mihailovich an ultimatum to turn over the Allied flyers or a village in Pranjani of 200 women and children would be burned to the ground. Mihailovich refused. Felman would learn later just how much pain this decision had caused the Serb general who did everything possible throughout the entirety of the war to limit the brutal German reprisals against his people. The Germans made good on their threat. The village was burned, and the Serbian civilians perished. That one incident would light the fire that would fuel the rest of Richard Felman's life work. As the daily bombing offensives increased and more and more Allied airmen were shot down over Yugoslavia, MIA, a three member rescue unit headed by 1st Lieutenant George Musulin was formed and was blind-dropped at night deep into the enemy occupied territory of Serbia. With them they had medical supplies, short wave radios and a classified evacuation rescue plan that would come to be known as "Operation Halyard" or the "Halyard Mission". A total of 750 Allied airmen, most of them Americans, would be rescued, taken care of and evacuated to safety over the next several months at great cost to the Serbian people who had protected them. All of the fallen flyers would return to their families and their homes alive. It was nothing short of a miracle. The rescue operations that began in August of 1944 and ended in December of 1944 would become known as the greatest rescue of Allied Airmen from behind enemy lines in the history of warfare. Major Felman, after spending time with the Serbs and running sabotage missions against the Nazis, witnessing first hand who was doing what on the ground, was among the first group of Americans airlifted out on August 10, 1944. The last evacuation was successfully completed in December of 1944 under the leadership of Captain Nikola Lalich. For the Halyard rescue operation in August of 1944 that included Major Felman, Draza Mihailovich personally provided 8,000 of his best men to keep the Germans at bay while the C-47 planes flew in and took off without incident, carrying their human cargo to safety. Ironically, after this rescue, Allied Intelligence continued to report that Mihailovich was collaborating with the enemy and turning over the Americans to the Nazis - the same false reports that had caused the greatest betrayal of the war - the switch of Allied support from Mihailovich and his Chetniks to Tito's communists in September of 1943, months before Mihailovich would risk everything to rescue the lives of the Allied airmen. Betrayed and abandoned, General Mihailovich resolved to do the right thing and did so without equivocation. It would be just one of the ironies that marked the beginning of a battle of vindication that Felman would dedicate himself to for the next 55 years. 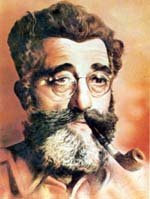 When it was learned that Draza Mihailovich had been captured by Tito's communists in the spring of 1946, and there would be a trial in Belgrade charging Mihailovich with being a Nazi collaborator and war criminal, Felman and his friends, including other flyers who had been rescued, taken care of and evacuated from enemy occupied territory went into action. This time from home. "Mihailovich will be given a fair trial, but we have enough legal evidence to convict him, and he will be shot." They could not let this happen. They tried everything, and at the time of the Commission hearings, Major Felman formed the "National Committee of American Airmen Rescued by General Mihailovich, Inc." Felman was elected its president and remained so for the remainder of his life. But Belgrade wasn't kidding, and the U.S. State Department wasn't budging. The U.S. had switched sides in '43, at the behest of the British, and Tito was their man. Tito now held the strings 5,000 miles away. 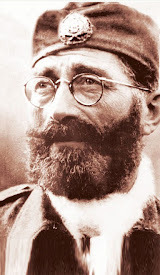 Draza Mihailovich lost his final battle and was executed and buried in an unmarked , unknown grave on July 17, 1946. But he had made a friend during his darkest hours of the war, and, as it would turn out, nobody could have made a better or more loyal and dedicated friend than Major Richard Felman. I can only guess how Felman and others like him must have felt on that day in July of 1946, but I do know that the injustice would sustain Felman with a stamina of purpose that defies the imagination. Mihailovich was gone, martyred, but Richard Felman was bound and determined to keep his legacy alive and alive he would stay in the hearts and minds of all those who would hear Felman speak and read his words. He was relentless and would remain consistent in his purpose even when a new war began in Yugoslavia in 1991 and the Serbian people began to be demonized. No propaganda campaign against the Serbs could sway Richard Felman. He knew what he knew. He had lived it. Thanks in great part to the efforts of Felman and his buddies, President Harry S. Truman, on the recommendation of General Dwight D. Eisenhower, posthumously awarded General Draza Mihailovich the "Legion of Merit Medal", the highest award America can bestow on a foreign national, in 1948. The award honored Mihailovich for his material contribution to the Allied victory in WWII and the rescue of American Airmen from behind enemy lines. But the ironies would continue. 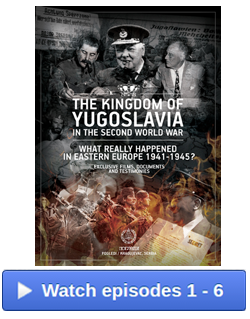 For the first time in history, this high award and the story of the rescue was classified as "top secret" by the State Department so as not to offend the communist government of Yugoslavia and subsequently publicize the colossal mistake of switching sides from Mihailovich to Tito during the war. It would take 20 years and the work of those such as Felman, and especially that of the Honorable Edward J. Derwinski who would later become Deputy Secretary of Veterans Affairs, to uncover the "Legion of Merit" honor and make it "public" in 1968. The next step would begin another uphill battle that would drive Richard Felman and consume him. He retired from the United States Air Force in 1968, but he remained a fighting man as the beginning of long stream of obstacles would thwart the realization of his dream to erect a memorial monument, at private expense, in Washington, D.C. honoring Draza Mihailovich for having saved so many American lives. In 1970, for the first time, General Mihailovich was written into the Congressional Record and it was in Congress that the battle would be fought. Felman would again go to Washington, to rally on the steps of the Capitol and get a bill introduced into the Senate by Strom Thurmond and Barry Goldwater in 1976 and in 1977 for the establishment of a statue on the Capitol grounds, on American soil, honoring General Mihailovich. The bill passed. But it would die in the House due to a campaign of the State Department which again and again would cite "offense against the Yugoslav Regime" and the "ire of certain ethnic groups in Yugoslavia" as justification for denying the appeal. Again and again, year after year, the bill would be introduced, passed, then killed. The resolutions are all in the Washington records. Attempt after attempt. Felman, despite getting discouraged, furious, and frustrated, remained a bulldog. In the wake of repeated denial and the reasons given, he would courageously disclaim his group's apolitical stance and pass judgement on those who he felt were perpetrating yet another great injustice. He was not afraid of losing his pension. He was not reckless, but he was not going to be intimidated. Such is the dedication of a man on a mission. A noble mission. Over the years, Major Richard Felman would write countless letters and give countless speeches, interviews, and submissions to newspapers. He would travel throughout America at his own expense to spread the word and keep just one drumbeat going: Repaying a debt of gratitude and clearing the name of the man who had saved his life. "Were the truth ever to be nationally known, there would not be a single American who would object to expressing, at no expense to the taxpayer, a nation's gratitude for saving the lives of over 500 of its fighting men. There is absolutely no rhyme or reason or rhetoric that should prevent the American Airmen from repaying their debt of honor. For 38 years we have fought for this right and been denied. In all good conscience, I cannot sit idly by and watch a 38 year effort go down the drain while the threats of another nation make our proud American eagle look like a plucked chicken." Even after Yugoslavia's Marshal Tito was dead and gone in 1980, permission was not granted to erect the Mihailovich monument in Washington. And then, just over a decade later in 1991, the violent dissolution of Yugoslavia began and its people once again became the casualties of war, this time only a civil war without an enemy occupier. 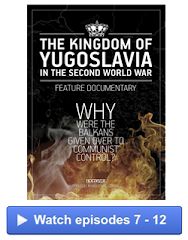 With the dissolution of Yugoslavia, Truth became the ultimate casualty. The Croatians, one of the "ethnic groups" whose "ire" the U.S. State Department was concerned about raising, were relentless in blocking the establishment of the Mihailovich monument. And they were winning the battle in Washington with their anti-Serb campaign. 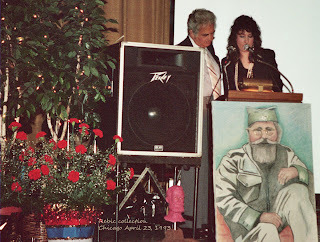 I would first meet Felman on April 23, 1993 at the Congress Hotel in Chicago for the celebration of Draza Mihailovich's 100th birthday. I had "met him" over the phone in 1992 when the first preparations for the celebration were being made. From that point on we corresponded by mail and by phone regularly. My father had already known him for years. Felman was happy as pie that someone had taken up the cause to mark and honor the landmark anniversary. Without his constant enthusiasm and support and wealth of knowledge the event wouldn't have been the same. On that April 23rd afternoon, he was walking out of an elevator in the lobby as I was walking toward it. Somehow I immediately knew who it was. Sharp and handsome in his dark blue blazer and blue jeans and white shirt with a silver and turquoise bolo tie around his neck, he was tan and buoyant, the youngest 72 I had ever seen. Given that the big night was only hours away, I couldn't give him the proper greeting he deserved, but he didn't hold it against me. He had come, all the way from Arizona at his own expense, and would give a speech that night that I would hear for the first time, and then time and time again over the course of the years that followed. He was great on stage and his words and story mesmerized, educated and entertained the capacity crowd, all 1500 of them, who embraced him. He gave the audience which was full of Serb patriots what they so desperately needed to hear at that juncture in their history. In those dark days of the 1990s, as they were being demonized in the West while those in the homeland were in the midst of a brutal war back home, he was there to tell them that they had a friend in the American community, a friend who believed in them and appreciated them, and most of all, who knew the truth. 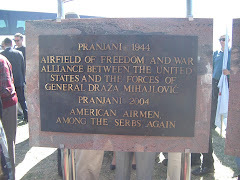 "Everyone of the airmen sitting here and throughout the country...I believe I can speak with one voice for everyone of them...They will all join me in saying that throughout the entire time we were evading capture, no sacrifice was too great for the Serbian people in making us comfortable. It was they who sheltered us in the hills and in their farm houses, often at great risk to themselves. Those of us who were wounded received whatever medical supplies were available. If there was one slice of bread in the house, or one egg, it went to the American. If there was one blanket or one bed, it went to the American, while our Serbian host slept on the bare ground. Many of the peasants were tortured, tortured to death because they would not tell the Germans where we were. The many heroic stories and sacrifices they made on our behalf is something the airmen will never forget. I recall these sacrifices of 50 years ago every time I read in today's American press that the Serbs are murderers and some sort of two-headed monsters. "Those that we met were all fine, decent, God fearing people who were fighting for their freedom and their country. Were it not for them, there would not have been a Halyard Mission, nor would we have survived the war. "To all those all-knowing political analysts and politicians who were in their diapers, literally, when WWII was going on, they know absolutely nothing about the people and the war. I would say to them, if they want to know anything about the Serbian people, to talk to the thousands of American grandchildren who are alive today because of these so-called monsters they are condemning. I would also tell them in the strongest possible terms about the anguish that we Americans would feel to see our fellow Americans go charging in with their guns blazing to kill some of the very same people who saved our lives. "I don't believe our government should return their kindness and sacrifice by killing them." To have known Major Richard Felman was to talk with him and see him - to read his eloquent words on the printed page and to really hear him. The tears were real, the passion was true and contagious, and the frustration was immense yet completely subordinate to inspiring pure gut level determination. I would spend time with him again in person in July of 1996 for the 50th anniversary of the execution of General Mihailovich which was marked at Gracanica Serbian Orthodox Monastery in Third Lake, IL near Chicago. Then, for the last and final time I would have the opportunity to spend time with him in June of 1998 here in Chicago as he came to receive the Award of Merit presented to him by the Serbian Bar Association. His health was beginning to fail, but his words were still magic and the love between him and his audience of Serbs who had come to honor him was as real as it had always been. The uniform that he had worn over over half a century before as a young man in a big world war was on his body. At 77 he was wearing it proudly! Imagine that! I'm so grateful that Major Felman got to see some of his efforts come to fruition while he was still living and that he did receive some of the honors and recognition he so richly deserved. 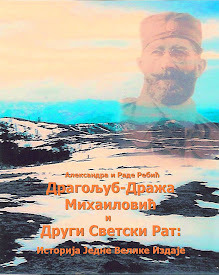 His story "Mihailovich and I" was published in both the Serbian and English language. He was given the honorary rank of "Chetnik Colonel" by the great Voyvoda Momchilo Djujich with whom he was friends and whom we lost in September of 1999, just two months before we would lose Felman. He was personally decorated twice by King Peter II of Yugoslavia, first with the "Royal Order of Ravna Gora", Yugoslavia's highest military decoration in 1946, then with the "Commemorative War Cross, 1941-1945" of the Royal Yugoslav Army in 1968. In April of 1997 he was made "Vitez"-"Knight of the Serbian People" by the World Serbian Community in Geneva, Switzerland. 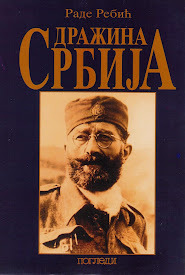 Richard Felman effectively corrected erroneous history books through a letter writing campaign begun in the late 1970s to both Encyclopaedia Britannica and Encyclopedia Americana asking them to revise their biography on General Draza Mihailovich that had previous to Felman's initiative characterized the Serbian General and leader of the WWII Chetniks as a brave but compromised man who had collaborated with the Nazis. Both volumes revised their biographies of Mihailovich due to Felman's efforts in the mid 1980s. Though his dream of a memorial monument to General Mihailovich being established in Washington, a dream he and others like him fought hard for, was never realized he did succeed in having a life size bronze bust made of the General and at his own expense donated several to the Serbian Community in the United States and Canada. Most importantly, for the first time in history, there is official recognition of the Halyard Mission Rescue Operation of 1944 by an American museum which holds Felman's donation of the bronze bust on permanent display at the Pima Air and Space Museum in Tucson, Arizona, one of the largest aeronautical museums in the world. In 1990 he met with the head archivist of the Air Force Academy Library in Colorado Springs who found it hard to believe there was no record of their rescue in their files. By providing his story and his extensive documentation of "OPERATION HALYARD", Felman ensured that future American cadets will know about one of the most glorious moments in the history of the U.S. Air Force. 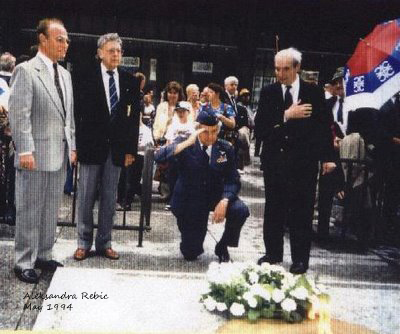 In 1995, for the 50th Anniversary of VE Day, Major Richard Felman, accompanied by his wife Mary Anne, returned with Captain Nick Lalich, and Lt. Col. Charlie Davis, both Halyard Mission veterans, to Serbia after 50 years and was met on the hills of Ravna Gora by 50,000 Serbian people who gave him a thunderous ovation. That, Major Felman would later say, was his shining moment, a highlight in a remarkable life. The 1990s was a remarkable decade indeed for Richard Felman. Fortunately, he remained healthy and strong almost to the end. In June of 1998 Richard Felman was diagnosed with ALS, Lou Gehrig's Disease, a degenerative and terminal neuromuscular disorder. It seemed inconceivable that a man of such passion and energy would be sidelined by such an illness. 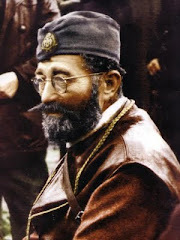 Word of his illness spread throughout the Serbian community and he would receive hundreds of cards and letters from Serbs all over the world saying "Thank You" to the man who had dedicated the last 50 years of his life thanking them. That same June, after he was diagnosed, he traveled to Chicago for the last time and I was blessed with the opportunity to see him and hear him speak once again and spend time with the man who had been such a beacon of light to so many of us. It would be the last time I would see him alive. I last spoke to him over the phone on May 29, 1999. I had called to let him know I was thinking about him and to thank him as I had so many times before. I hung up without realizing it was his birthday. It would be the last time I would hear that wonderful voice. Later that same year, when it was clear that it was just a matter of time, I called and asked his wife if she could ask Major Felman if it would be okay if I wrote his obituary after he was gone. She told me that she would find out and let me know. A short time later she informed me that he had said “yes, he would be honored if I did that”. I remember thinking “He’s got it all backwards”. I received a package of material from Felman just a few days later. Major Richard L. Felman of the United States Air Force fought his last battle on Saturday, November 13, 1999. He died quietly, with his wife Mary Anne by his side. He was survived by her and his brother Irwin. He had no children. On Tuesday, November 16, 1999 he was laid to rest at "All Faiths Memorial Park" in Tucson, Arizona. 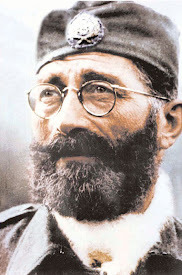 "He was one of a small number of non-Serbs who dedicated his life to promote the truth about Serbs as they were going through some of the darkest hours of their history. With Felman's death, some of the wings that enabled the Serbs to persevere through the last half of the 20th century have been stilled. Sailing will be harder without Felman." Somehow it seems especially appropriate that Richard Felman was born close to the Memorial Day holiday and died close to the Veteran’s Day holiday. There is something just right about that. Richard Felman was my dear friend. I will forever cherish the conversations we had and all the gifts of his documents and his cards and letters. He understood what was necessary to keep a legacy alive and did what was necessary. It is we who must carry on the fight. He never forgot us nor did he forsake us when it would have been most convenient for him to do so in the 1990s. He never stopped saying that "For as long as I live I will never forget the enormous debt that I owe to the freedom loving Serbian people who gave their lives to save me and my fellow Americans." Felman didn't just talk the talk. He walked the walk. 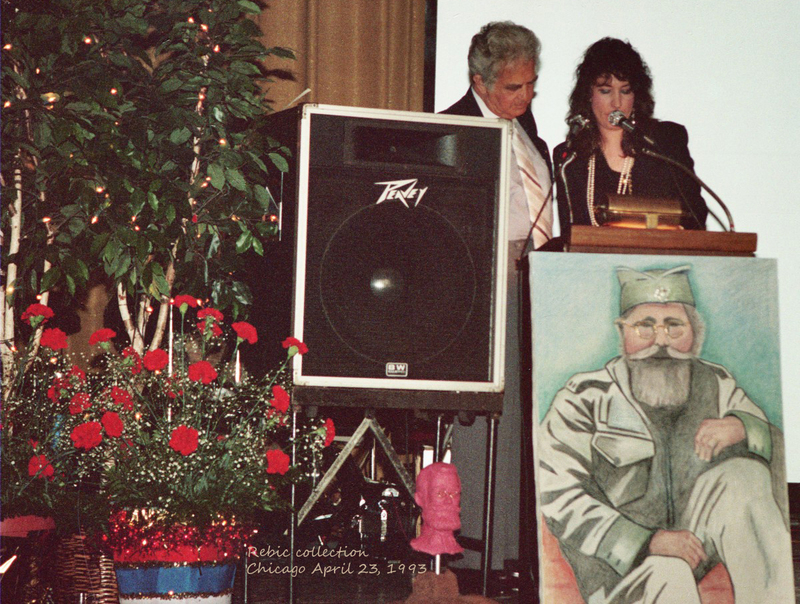 Back in '93 for the Mihailovich 100th birthday celebration, Felman proclaimed something that garnered him a standing ovation: "Although I am an American Jew, in my heart, I am a Serb!" And the best thing about that statement was that Felman meant it with all his heart. Richard Felman met General Draza Mihailovich a long time ago, in a foreign land in 1944, by virtue of being a casualty of war who was fortunate enough to survive. They prayed in a Christian Serbian Orthodox church together. They shook hands. They went on sabotage runs against the Germans, their common enemy. They shared slivovitza – the 160 proof plum brandy that no visitor to the Serbian lands ever forgets, and they found a way to communicate. General Mihailovich left quite an impression on Richard Felman, and his wrongful execution at the hands of the communist criminals two years later in 1946 would leave an even greater one on the American navigator. Now, somewhere out there, I’m sure that Jew and Gentile are spending time together again, the American with the Serb, two military men with much in common despite their differences. With all my heart I believe that the Serbian General is saying "Thank You" to the American just as the American was saying “Thank You” to him all those years. Felman, I still miss you. I can still hear your warm, passionate voice 12 years later. You would love some of the developments that have happened since your passing. Progress is being made in Serbia with regards to the patriots being rehabilitated and honored in the proper way they deserve, but there is still much work to do…You would love “Facebook”, something that wasn’t invented yet when you were living. The legacy is being kept very much alive via the Internet and for that we can all be thankful. We will not cease fighting the good fight, ever. So many young people are now carrying the torch, and I know that would fill your heart with joy and pride. We will never give up. That is our pledge and our promise to you and to all those like you. And that is our commitment to the beloved General, his Chetnik forces, and the people who were loyal to them. May God bless you and hold you in the palm of His hand, Felman. 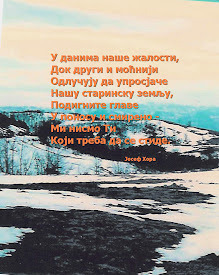 Just as you never forgot our Draza and our suffering people, we will never forget you.